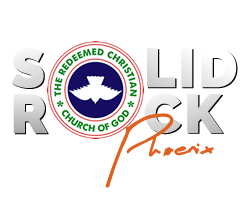 Dr. Ezekiel Leke Ojo based in Phoenix, Arizona is the Pastor of The Redeemed Christian Church of God Solid Rock Phoenix located in the heart of Glendale, a church on the cutting edge of the end- time move to connect a dying world to a loving God. He is also the Assistant Regional Pastor/Pastor-In-Charge of Province 2 Region 2 which comprises of Redeemed Christian Church of God North American churches in six states of USA. He was the founding National Coordinator of the RCCGNA Young Adults and Singles ministry; a ministry set up to empower young adults and singles to fulfill their destinies and be relevant in today’s world. Dr. Ezekiel Ojo currently serves on the Board of African Missions North America; an organization set up to minister to millions of thirsty and needy souls in the forgotten corners of Africa and a member of the RCCGNA Strategic Team; an eight-member group set up to chart a course for the future of RCCGNA. He ran a radio ministry broadcast tagged “Moment of Empowerment” in the state of Arizona and parts of Colorado and New Mexico between 2004 and 2007, and he is a regular host and speaker on TBN’S Praise the Lord program in Phoenix Arizona. He is a passionate teacher of the word; addicted to praise and prayer and an unrepentant church planter who freely operates in apostolic gifts. A versatile preacher of the word, Ezekiel organizes year-round prayer, revival, leadership, mentoring and youth conferences all over the world; his passion is to empower and direct people from where they are to where God wants them to be and to get as many souls as possible to the kingdom. 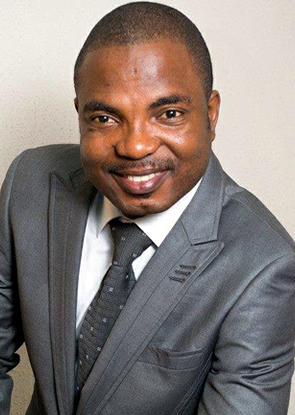 He is a professional public Accountant and currently runs his practice in Phoenix, Arizona and Lagos, Nigeria. He bagged a Ph.D. program in Business Administration with an emphasis in Advanced Accounting from the North Central University, Prescott Arizona having bagged an MBA in Accounting and another Master’s degree in Organizational Leadership from Grand Canyon University in Phoenix AZ where he is also serving as Adjunct faculty at the Colangelo College of Business. He is also an Adjunct Professor of the Redeemer Bible College and Seminary of RCCGNA. An astute businessman and entrepreneur, Ezekiel is the President/CEO of Joseph Generation Inc., a behavioral service company in the heart of Glendale Arizona and the Managing Partner of Leadright Consulting PC, a leadership training and capacity development outfit with headquarters in Glendale Arizona. He operates an integrated farming business in Nigeria called Zeejudd Farms Limited. He is presently undergoing certification programs with two of the best in leadership and capacity development; the John Maxwell Organization and the Ken Blanchard organization both based in the US. An alumnus of the University of Ilorin, Nigeria where he bagged a first degree in Economics. He is also a fellow of the Institute of Chartered Accountants of Nigeria and the Chartered Institute of Taxation of Nigeria. He is the Managing Partner of Ezekiel Ojo & Co (Chartered Accountants); a Lagos based accounting and management consulting practice. He is also the President of New Impact Ministry, a Nigerian based missions oriented Non-Profit Organization (NGO). He is happily married to Dr. Juyi Ojo, a Registered Pharmacist and Pastor, their union is blessed with two children, David and Debbie. 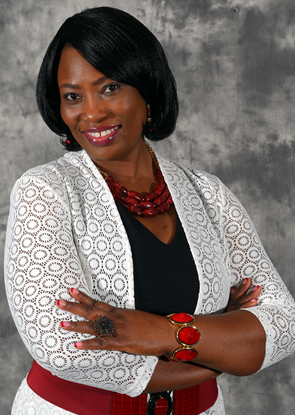 Juyi Ojo is the co-pastor of Redeemed Christian Church of God Solid Rock Phoenix – a church dedicated to teaching practical Christian living with the ultimate goal of making heaven alongside her husband Pastor Ezekiel Leke Ojo who is the senior pastor and also provincial pastor overseeing several churches in part of California, Washington, Oregon, Nevada, Arizona, Utah and Idaho. A versatile preacher of the word, Pastor Juyi organizes alongside her husband year round prayer, leadership, women and youth conferences all over the world. Her passion is to direct people from where they are to where God wants them to be and to get as many souls as possible to the kingdom. She has been in ministry for over two decades in different capacities and is dedicated to empowering people for success and aligning with their God assigned destinies. She trained as an Economist and computer programmer and has several years of experience in banking, treasury management, computer programming and organizational leadership. 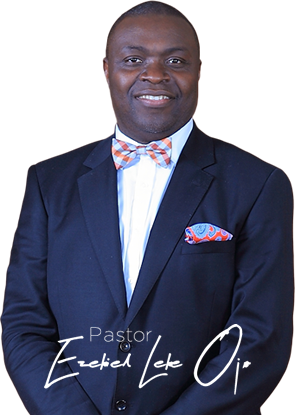 Pastor Juyi holds a Doctorate degree in Pharmacy from Midwestern University Glendale, AZ and currently works as a Pharmacist. She is happily married to Pastor Ezekiel Leke Ojo and the marriage is blessed with two wonderful children, David and Debbie. Olubiyi Simeon Daniels is an ordained pastor in the Redeemed Christian Church of God. He has served in various capacities in the mission, he was the Area Pastor of Grace of God Chapel and the Province Music Director of RCCG Ondo 4, both in Region 22, Nigeria, West Africa. He presently serves as the Resident Pastor of RCCG Solid Rock Phoenix, Music Director and the Accountant. Biyi Daniels is married to Rejoice and they are blessed with three daughters.